Which way did Ludwig Leichhardt go? He must have passed through here. The sand dunes of far west Queensland must hold a secret to the mystery. In the far west, a basket held by an Aboriginal women has white man’s hair woven into it. Clothes, European clothes, are found near the basket. And bones, human remains, are brought back with the clothes. 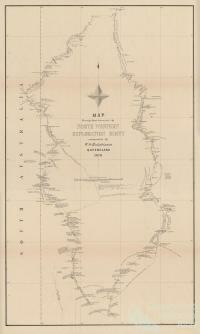 To the sub-inspector, Mr James A. Gilmour, he might have solved one of the great mysteries of colonial exploration. On 13 December 1871 Gilmour submits his report to The Brisbane Courier. He packages up the bones, the basket and the clothes, and takes them to Brisbane. With this package, as almost an aside, he takes the prepared plant of the drug Aborigines call ‘pituri’ and gives it to the chemist Dr Joseph Bancroft. Pituri, pronounced pitch-ery, is a psycho-active drug with its active ingredient being nicotine and nor-nicotine. The nicotine content is four times that of common tobacco and if pituri is prepared incorrectly it can be lethal. Of Gilmour’s finds the bones are Aboriginal, the hair in the basket is most likely those of a now extinct native bandicoot from South Australia, and the clothes possibly from the Burke and Wills expedition or are an exchanged item in the huge trade network that operated in Central Australia. But the pituri is a curiosity. To Baron von Mueller, the highly regarded Victorian botanist, his curiosity is also captured by the Leichhardt mystery, as well as a passion for new plants. In 1861 he names a plant Anthocercis Hopwoodii, a plant found all over Central Australia from Western Australia to the Barcoo River in the east. 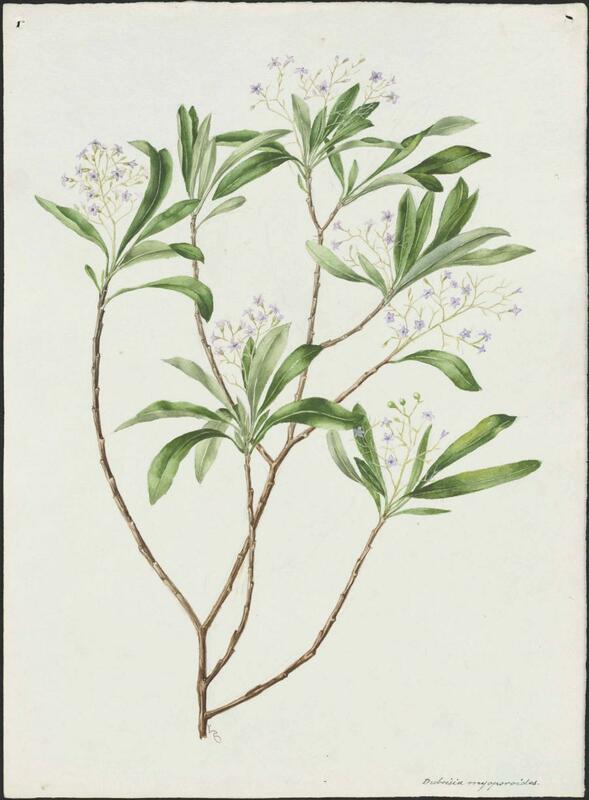 By 1877, in the tenth volume of Mueller’s epic study of plants Fragmenta Phytographiae Australiae, a new genus had been created, and the plant becomes Duboisia Hopwoodii. In 1877 Mueller receives a sample of pituri from Dr Bancroft. 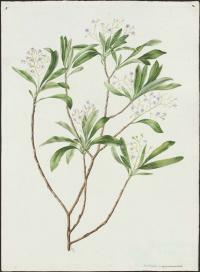 Mueller announces that the Aboriginal drug pituri is Duboisia Hopwoodii, and with this finding returns the Duboisia to the Solancae family (the same family as tobacco) where it remains today. For the men of science, interest in pituri occurred much earlier after reading the explorers reports from the interior. In 1847, Edmund Kennedy on the Barcoo River in Queensland noticed, ‘A curious fact I here observed is that the men chew tobacco’ Kennedy records it to be strong and hot—both attributes of pituri. It might have been earlier that Sturt, when standing at ‘the entrance to hell’ noticed bushes growing on sandhills that might have been the pituri bush. But it was Burke that first mentions harvested pituri—the dried plant mixed with acacia ash from the tribes of the Mulligan-Georgina area. On 7 May 1861 he receives pituri and writes ‘it has a highly intoxicating effect when chewed even in small quantities.’ On 4 October Alfred Howitt, before finding King at Coopers Creek, was greeted by an Aborigine with ‘as usual a ball of chewed pitchery’. 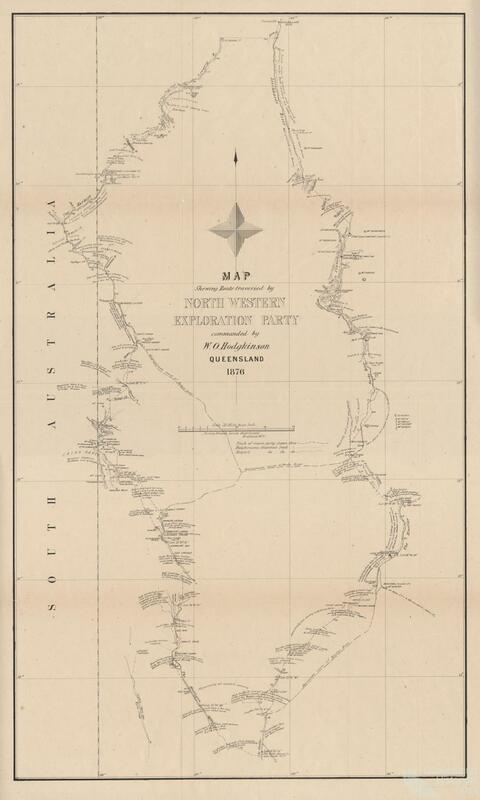 In 1876, over a decade after Howitt, on the last Queensland Government supported exploration, William O. Hodgkinson went west. His task was as much prospecting as it was exploration. Hodgkinson tries to find the pituri lands, to him they are a place called Pecheringa - maybe an Eden in the desert. He enlists two local Aborigines to help him. He writes, ‘this morning I gave them their breakfast, and, showing them a stem of partially dried pecherie [pituri]…tried to make them understand that one must forthwith go and fetch some of the green plant, and the other remains as a hostage in camp.’ He was getting desperate; he was getting obsessive; maybe even Kurtz like. In the night both Aborigines run for their life. ‘So I fear Pecheringa will remain unknown’ he laments on 7 August. At near death from a nutrient deficient diet of meat and flour and a lack of water Hodgkinson in ‘miserable country’ finds his pituri. A faithful colonial servant, he sends it to Bancroft for testing. An agricultural reserve in the middle of a desert? In 1877 Joseph Bancroft publishes a paper on his findings; it is given wide public circulation in the Queenslander. The pastoralist Sylvester Brown writes a response to the Brisbane Courier on 26 February 1879. Brown tries to dispel some of the myths associated with pituri. He notes the many waterholes around the area giving it, to Brown, a lush outlook not a dangerous one that both Aborigine’s and explorers have given. But, Brown notes, ‘should the Government wish to make a pituri reserve, here is the place for it. The country in the vicinity is of no use for pastoral purposes, so a reserve of about twenty miles square or four hundred miles would be a cheap concession.’ What might an agricultural reserve in the middle of the desert have looked like? The pituri reserve never materialised. Chemists and botanists acquired the early knowledge of pituri, much earlier than ethnographic accounts. It was a colonial curiosity; a plant and drug with the same potential, some thought, as the coca leaf had for curious explorers in South America. Apart from the properties of Duboisia Myoporoidis, today pituri is highly valued by Aboriginal people in central and northern Australia, but relatively forgotten to white Australians as merely a curiosity of the past.